t’s an early Saturday, late May (25th) morning. I’m starting my shift half asleep at work, it’s 4am folks and the only thing I can think of is driving down the 15 freeway to San Diego to head after work to the Day 2 (out of 3) of the Ugly Things 30th Anniversary celebration happening down at the Casbah (by the San Diego airport). Pan forward to later that night, I’m standing in front of the stage, the third act of the night is about to go on, members of Love Revisited, remains of the classic 60’s Elektra Label band, are about to take the stage to help celebrate some of the greatest music to come out that greatest of musical decades, the 1960’s. For a moment or two I get slightly distracted and come out of it to notice founding Love member, lead guitarist Johnny Echols, has taken the stage by now along with some of the newer members. Unassuming yet looking like the cool hip grandfather you wish you had, his guitar is strapped on and he’s just about ready to go. Seeing him so up close in this intimate space that is the Casbah is a surreal dream come true. The band begins a tight, intense set, founding member and lead singer Arthur Lee, is not present, having passed away in 2006 but even though King Arthur is not here, for a while Merlin has taken his place in the apparition of Soundtrack Of Our Lives frontman Ebbot Lundberg who takes the mike and lead vocals for a majority of the set. At one point, we are blown away by a surprise announcement that early member and drummer Michael Stuart is there to join the band on a few songs and despite his aged look proceeds to attack the drum kit with a professionalism and agility of a man less than half his age, no kidding! Johnny Echols takes lead vocals on a searing and heartfelt version of Love comedown classic “Signed CD” from their first album originally released in 1966. Johnny Echols kindly took out some time afterwards to answer some of my questions in regards to that evening and that era. Jason Tryp: The band sounded great, your guitar playing was a joy to hear, to my ears, your concise and emotive solos were what I would imagine would have been like listening to Miles Davis solo, that same kind of artistry involved, How content where you with the bands performance that night? Did the original LOVE ever make it down by San Diego way? Johnny Echols: Hi Jason, We had a wonderful time playing in San Diego… It was more akin to a dance, where everyone plays with more spontaneity and freedom, as opposed to concerts where there is a bit more structure and the sound is much closer to the records. The original group did play San Diego though I can’t recall the venue. JT: Which guitarists did you admire growing up while learning your craft and later as contemporaries of LOVE? JE: Growing up I was influenced by Kenny Burrell, Wes Montgomery, Charley Christian, and many of the old blues players. JT: If you had to make a top five of your favorite 60’s albums what would they be? 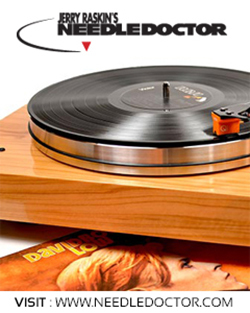 Do you currently own a record player/turntable? That’s all, thanks! 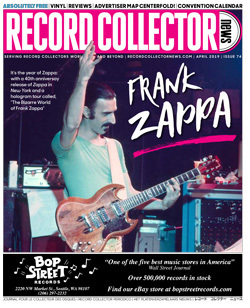 in Saan Diego | RECORD COLLECTOR NEWS. And I actually do have 2 questions for you if you do not mind. brain dead folks? 😛 And, if you are posting on other sites, I’d like to follow everything fressh you have tto post.